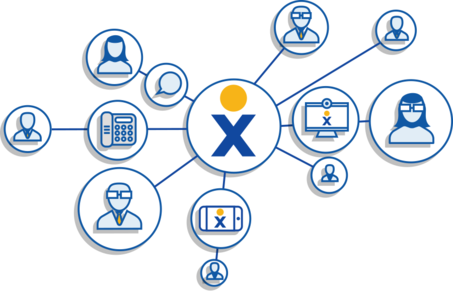 As a Nextiva partner, we provide you with 100% cloud-based communication service at a fraction of traditional phone service costs. Our goal is to simplify your business communication, increase your productivity, and enable you to serve your customers better. And it’s all in the cloud. Nextiva is a cloud-based communication and collaboration solutions provider and serves more than 150,000 business customers. Since 2006, Nextiva has maintained its focus on simplifying the way businesses communicate. Through a combination of communication, collaboration and mobility solutions, Nextiva helps companies of all sizes and industries run more efficiently and increase productivity and profitability, while reducing their communication costs. Nextiva is headquartered in Scottsdale, Arizona and lives by the founding principle of Amazing Service®. BizTech is a certified partner of Nextiva and is authorized to resell their products and services.